"BOTs" redirects here. For other uses, see Bots (disambiguation). As of April 2018[update] the Minister responsible for the Territories excluding the Falkland Islands, Gibraltar and the Sovereign Base Areas on Cyprus, is the Minister of State for the Commonwealth and the UN. The other three territories are the responsibility of the Minister of State for Europe and the Americas. Early colonies, in the sense of English subjects residing in lands hitherto outside the control of the English government, were generally known as "Plantations". English colonisation of North America began officially in 1607 with the settlement of Jamestown, the first successful permanent colony in Virginia (a term that was then applied generally to North America). Its offshoot, Bermuda, was settled inadvertently after the wrecking of the Virginia company's flagship there in 1609, with the Virginia Company's charter extended to officially include the archipelago in 1612. St. George's town, founded in Bermuda in that year, remains the oldest continuously inhabited British settlement in the New World (with some historians stating that – its formation predating the 1619 conversion of "James Fort" into "Jamestown" – St. George's was actually the first successful town the English established in the New World). Bermuda and Bermudians have played important, sometimes pivotal, but generally underestimated or unacknowledged roles in the shaping of the English and British trans-Atlantic Empires. These include maritime commerce, settlement of the continent and of the West Indies, and the projection of naval power via the colony's privateers, among other areas. The growth of the British Empire in the 19th century, to its territorial peak in the 1920s, saw Britain acquire nearly one quarter of the world's land mass, including territories with large indigenous populations in Asia and Africa. From the mid-nineteenth century to the early twentieth century, the larger settler colonies – in Canada, Australia, New Zealand and South Africa – first became self-governing colonies and then achieved independence in all matters except foreign policy, defence and trade. Separate self-governing colonies federated to become Canada (in 1867), Australia (in 1901), South Africa (in 1910), and Rhodesia (in 1965). These and other large self-governing colonies had become known as Dominions by the 1920s. The Dominions achieved almost full independence with the Statute of Westminster (1931). After the independence of Southern Rhodesia (now Zimbabwe) in Africa in 1980 and British Honduras (now Belize) in Central America in 1981, the last major colony that remained was Hong Kong, with a population of over 5 million. With 1997 approaching, the United Kingdom and China negotiated the Sino-British Joint Declaration, which led to the whole of Hong Kong becoming a "special administrative region" of China in 1997, subject to various conditions intended to guarantee the preservation of Hong Kong's capitalist economy and its way of life under British rule for at least 50 years after the handover. George Town in the Cayman Islands has consequently become the largest city in the Overseas Territories. In 2002, the British Parliament passed the British Overseas Territories Act 2002. This reclassified the UK's dependent territories as overseas territories and, with the exception of those people solely connected with the Sovereign Base Areas of Cyprus, restored full British citizenship to their inhabitants. The head of state in the overseas territories is the British monarch, Elizabeth II. The Queen's role in the territories is in her role as Queen of the United Kingdom, and not in right of each territory. The Queen appoints a representative in each territory to exercise her executive power. In territories with a permanent population, a Governor is appointed by the Queen on the advice of the British Government. Currently (2019) all but two Governors are either career diplomats or have worked in other Civil Service departments. The remaining two Governors are former members of the British armed forces. In territories without a permanent population, a Commissioner is usually appointed to represent the Queen. Exceptionally, in the oversea territory of Saint Helena, Ascension and Tristan da Cunha, an Administrator is appointed to be the Governor's representative in each of the two distant parts of the territory, namely Ascension Island and Tristan da Cunha. There is no elected government, as there is no native settled population. The Chagos Islanders – who were forcibly evicted from the territory in 1971 – won a High Court Judgement allowing them to return, but this was then overridden by an Order in Council preventing them from returning. The final appeal to the House of Lords (regarding the lawfulness of the Order in Council) was decided in the government's favour, exhausting the islanders' legal options in the United Kingdom at present. There is no elected government. The Commander British Forces Cyprus acts as the territory's Administrator, with a Chief Officer responsible for day-to-day running of the civil government. As far as possible, there is convergence of laws[clarification needed] with those of the Republic of Cyprus. These territories have a House of Assembly, Legislative Assembly (Cayman Islands and Montserrat), with political parties. The Executive Council is usually called a cabinet and is led by a Premier or a Chief Minister (in Anguilla), who is the leader of the majority party in parliament. The Governor exercises less power over local affairs and deals mostly with foreign affairs and economic issues, while the elected government controls most "domestic" concerns. All members elected either as MPs in the UK cabinet or as heads of Government or Ministers in Overseas Territories. Coastline at Little Bay, the site of the new capital of Montserrat replacing Plymouth. The project is funded by the UK's Department for International Development. Gibraltar is the only overseas territory that is part of the European Union (EU), although it is not part of the European Customs Union, the European Tax Policy, the European Statistics Zone or the Common Agriculture Policy. Gibraltar is not a member of the European Union in its own right. The Sovereign Base Areas in Cyprus are not part of the European Union, but they are the only British overseas territory to use the euro as official currency. None of the other Overseas Territories are members of the EU, the main body of EU law does not apply and, although certain slices of EU law are applied to those territories as part of the EU's Association of Overseas Countries and Territories (OCT Association), they are not commonly enforceable in local courts. The OCT Association also provides overseas territories with structural funding for regeneration projects. Since the return of full British citizenship to most 'belongers' of overseas territories (mainly since the British Overseas Territories Act 2002), the citizens of those territories hold concurrent European Union citizenship, giving them rights of free movement across all EU member states. None of the overseas territories has its own nationality status, and most residents hold two forms of British nationality: British Overseas Territories citizenship (BOTC) and British citizenship. Only the latter grants the right of abode in a specific country or territory, namely, the United Kingdom proper which includes its three Crown Dependencies. Individual overseas territories have legislative independence over immigration, and consequently, BOTC status does not automatically grant the right of abode in any of the territories, as it depends on the territory's immigration laws. A territory may issue belonger status to allow a person to reside in the territory that they have close links with. The governors of the territories may also allow naturalization of non-BOTCs as BOTCs. Bermuda – became the primary Royal Navy base in North America, following US independence. The Naval establishment included an admiralty, a dockyard, and a naval squadron. A considerable military garrison was built up to protect it, and Bermuda, which the British Government came to see as a base, rather than as a colony, was known as Fortress Bermuda, and the Gibraltar of the West (Bermudians, like Gibraltarians, also dub their territory "The Rock"). Canada and the USA also established bases in Bermuda during the Second World War, which were maintained through the Cold War. Four air bases were located in Bermuda during the Second World War (operated by the Royal Air Force, Royal Navy, US Navy, and US Army/Army Air Force). Since 1995, the military force in Bermuda has been reduced to the local territorial battalion, the Royal Bermuda Regiment. 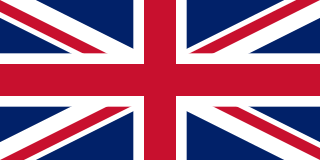 Each overseas territory has been granted its own flag and coat of arms by the British monarch. Traditionally, the flags follow the Blue Ensign design, with the Union Flag in the canton, and the territory's coat of arms in the fly. Exceptions to this are Bermuda which uses a Red Ensign; British Antarctic Territory which uses a White Ensign; British Indian Ocean Territory which uses a Blue Ensign with wavy lines to symbolise the sea; and Gibraltar which uses a banner of its coat of arms (the flag of the city of Gibraltar). 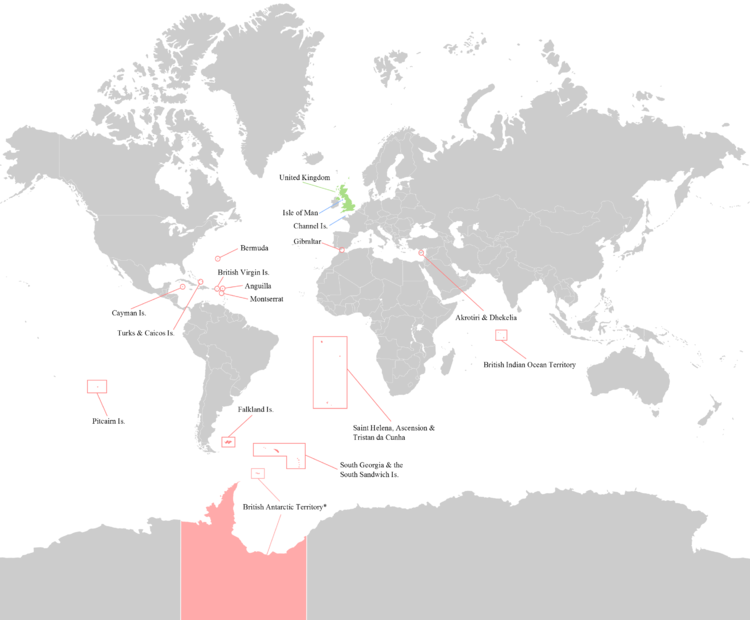 The World Heritage Sites of the UK (Overseas Territories): The natural sites of Gough and Inaccessible Islands and Henderson Island are marked green, the cultural sites of the Historic Town of St George and Related Fortifications, Kourion, and Gorham's Cave are marked red. Two areas, Henderson Island in the Pitcairn Islands as well as the Gough and Inaccessible Islands of Tristan Da Cunha are listed as UNESCO World Heritage Sites, and two other territories, the Turks and Caicos Islands, and Saint Helena are on the United Kingdom's tentative list for future UNESCO World Heritage Sites. Gibraltar's Gorham's Cave Complex is also found on the UK's tentative UNESCO World Heritage Site list. ^ "Supporting the Overseas Territories". UK Government. Retrieved 8 November 2014. There are 14 Overseas Territories which retain a constitutional link with the UK. .... Most of the Territories are largely self-governing, each with its own constitution and its own government, which enacts local laws. Although the relationship is rooted in four centuries of shared history, the UK government's relationship with its Territories today is a modern one, based on mutual benefits and responsibilities. The foundations of this relationship are partnership, shared values and the right of the people of each territory to choose to freely choose whether to remain a British Overseas Territory or to seek an alternative future. ^ "What is the British Constitution: The Primary Structures of the British State". The Constitution Society. Archived from the original on 6 October 2014. Retrieved 15 November 2014. The United Kingdom also manages a number of territories which, while mostly having their own forms of government, have the Queen as their head of state, and rely on the UK for defence and security, foreign affairs and representation at the international level. They do not form part of the UK, but have an ambiguous constitutional relationship with the UK. ^ "New ministerial appointments at the Foreign and Commonwealth Office" (Press release). Foreign and Commonwealth Office. 19 July 2016. Retrieved 20 September 2016. ^ "Overseas Territories". UK Overseas Territories Foreign & Commonwealth Office. Archived from the original on 23 June 2012. Retrieved 8 December 2010. ^ "SBA Cyprus". Jncc.gov.uk. Retrieved 8 December 2010. ^ a b "British Antarctic Territory". Jncc.gov.uk. Retrieved 8 December 2010. ^ "Commonwealth Secretariat – Anguilla". Thecommonwealth.org. Archived from the original on 17 December 2010. Retrieved 8 December 2010. ^ a b "UNdata | record view | Surface area in km2". United Nations. 4 November 2009. Retrieved 8 December 2010. ^ "North America :: Bermuda". CIA World Factbook. Retrieved 9 April 2018. ^ "Commonwealth Secretariat – British Antarctic Territory". Thecommonwealth.org. Archived from the original on 5 June 2011. Retrieved 8 December 2010. ^ "British Indian Ocean Territory". Jncc.gov.uk. Retrieved 8 December 2010. ^ "Commonwealth Secretariat – British Indian Ocean Territory". Thecommonwealth.org. Archived from the original on 5 June 2011. Retrieved 8 December 2010. ^ a b "British Virgin Islands (BVI)". Jncc.gov.uk. Retrieved 8 December 2010. ^ a b "Economics and Statistics Office - Labour Force Survey Report Spring 2018" (PDF). www.eso.ky. Cayman Islands Economics and Statistics Office. August 2018. Retrieved 26 November 2018. ^ "Commonwealth Secretariat – Falkland Islands". Thecommonwealth.org. 14 June 1982. Archived from the original on 13 May 2011. Retrieved 8 December 2010. ^ "Gibraltar". Jncc.gov.uk. Retrieved 8 December 2010. ^ "Commonwealth Secretariat – Gibraltar". Thecommonwealth.org. 7 November 2002. Archived from the original on 6 March 2010. Retrieved 8 December 2010. ^ a b "Montserrat". Jncc.gov.uk. Retrieved 8 December 2010. ^ "Pitcairn Island". Jncc.gov.uk. Retrieved 8 December 2010. ^ "UN Statistics – St Helena census 2008" (PDF). United Nations. Archived from the original (PDF) on 29 June 2014. Retrieved 4 January 2011. ^ a b c "St Helena, Ascension, Tristan da Cunha profiles". BBC. 16 March 2016. Retrieved 25 June 2016. ^ "Population of Grytviken, South Georgia and the South Sandwich Islands". Population.mongabay.com. 31 March 2009. Archived from the original on 17 July 2011. Retrieved 8 December 2010. ^ "Turks and Caicos Islands". Jncc.gov.uk. 1 November 2009. Retrieved 8 December 2010. ^ "North America :: Turks and Caicos". CIA World Factbook. Retrieved 9 April 2018. ^ "States of Guernsey: About Guernsey". Gov.gg. Archived from the original on 12 October 2010. Retrieved 8 December 2010. ^ "Government – Isle of Man Public Services". Gov.im. Archived from the original on 18 December 2010. Retrieved 8 December 2010. ^ "CIA – The World Factbook 2002 – South Georgia and the South Sandwich Islands". Faqs.org. Retrieved 8 December 2010. ^ "CIA – The World Factbook". Cia.gov. Retrieved 28 April 2013. ^ "Bermuda – History and Heritage". Smithsonian.com. 6 November 2007. Archived from the original on 24 May 2012. Retrieved 3 December 2008. ^ "Newfoundland History – Early Colonization and Settlement of Newfoundland". Faculty.marianopolis.edu. Retrieved 8 December 2010. ^ Copyright 2015 The University of North Carolina at Chapel Hill. "UNC Press - In the Eye of All Trade". ^ "In the Eye of All Trade: Bermuda, Bermudians, and the Maritime Atlantic World, 1680-1783". Archived from the original on 9 January 2012. ^ "Population". Census and Statistics Department. Hong Kong Statistics. Retrieved 12 July 2013. ^ "Falkland Islands Legislative Assembly". Falklands.gov.fk. Retrieved 8 December 2010. ^ "Saint Helena, Ascension and Tristan da Cunha Constitution Order 2009 (at OPSI)". Opsi.gov.uk. 16 July 2010. Retrieved 8 December 2010. ^ "Overseas Territories Joint Ministerial Council 2015 Communique and Progress Report - Publications - GOV.UK". Retrieved 15 September 2016. ^ "Little Bay Development". Projects.dfid.gov.uk. Archived from the original on 25 April 2013. Retrieved 28 April 2013. ^ "Sovereign Base Areas, Background". Sovereign Base Areas, Cyprus. Retrieved 7 October 2011. ^ "The Overseas Territories: security, success and sustainability" (PDF). Foreign & Commonwealth Office. 28 June 2012. Retrieved 15 November 2014. ^ "MP proposes British Overseas Territories be represented in Westminster – MercoPress". En.mercopress.com. Retrieved 28 April 2013. ^ "HM Government e-petitions". Epetitions.direct.gov.uk. Retrieved 28 April 2013. ^ "Lib Dems would create an MP for Gibraltar". Gibraltar News Olive Press. 18 May 2017. 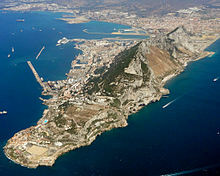 ^ "UKIP leader defends call for Gibraltar to become part of Britain - Xinhua - English.news.cn". news.xinhuanet.com. ^ "Section 1 of the 1968 Act" (PDF). ^ "UK Government White Paper on Overseas Territories, June, 2012. Page 23" (PDF). ^ "demtullpitcairn.com" (PDF). www.demtullpitcairn.com. Archived from the original (PDF) on 9 May 2016. Retrieved 3 January 2018. ^ "British Indian Ocean Territory Currency". Wwp.greenwichmeantime.com. 6 March 2013. Retrieved 28 April 2013. ^ Stephen Wright (28 July 2012). "Representing Britain...and Bermuda | Bermuda Olympics 2012". Royalgazette.com. Retrieved 28 April 2013. ^ "Williams' Olympic hopes on hold for 4 more years". Fptci.com. 29 June 2012. Retrieved 28 April 2013. ^ Purnell, Gareth (27 July 2012). "At last! Phillips Idowu tracked down... in Team GB photo – Olympic News". The Independent. Retrieved 28 April 2013. ^ "About the Biodiversity of the UK Overseas Territories". UKOTCF. Retrieved 17 June 2016. ^ a b "Science: UK Overseas Territories: Biodiversity". Kew. Archived from the original on 2 May 2013. Retrieved 28 April 2013. ^ "Turks and Caicos Islands – UNESCO World Heritage Centre". Whc.unesco.org. 27 January 2012. Retrieved 28 April 2013. ^ "Island of St Helena – UNESCO World Heritage Centre". Whc.unesco.org. 27 January 2012. Retrieved 28 April 2013. ^ "Gorham's Cave Complex". UNESCO. UNESCO World Heritage Centre. 27 January 2012. Retrieved 30 June 2016. ^ "World's Largest Single Marine Reserve Created in Pacific". National Geographic. World's Largest Single Marine Reserve Created in Pacific. 18 March 2015. Retrieved 19 March 2015. ^ "Pitcairn Islands get huge marine reserve". BBC. 18 March 2015. Retrieved 19 March 2015. ^ "Pitcairn Islands to get world's largest single marine reserve". The Guardian. London. 18 March 2015. Retrieved 19 March 2015. ^ "Ascension Island to become marine reserve". 3 January 2016. Retrieved 3 January 2016. Wikimedia Commons has media related to British overseas territories. The British West Indies, sometimes abbreviated to the BWI, is a collective term for the British territories in the Caribbean: Anguilla, Bermuda, the Cayman Islands, Turks and Caicos Islands, Montserrat, the British Virgin Islands, The Bahamas, Barbados, Belize, Antigua and Barbuda, Dominica, Saint Kitts and Nevis, Grenada, Saint Lucia, Saint Vincent and the Grenadines, Guyana, Jamaica, and Trinidad and Tobago. Before the decolonization period in the later 1950's and 1960's it included all British colonies in the region, together with two mainland colonies, as part of the British Empire. 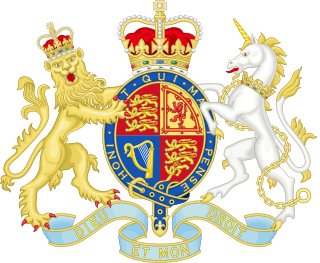 The British Overseas Territories Act 2002 (c.8) is an Act of the Parliament of the United Kingdom which superseded parts of the British Nationality Act 1981. It makes legal provision for the renaming of the British Dependent Territories as British Overseas Territories, and the renaming of associated citizenship. The British Overseas Territories maintain their own rules regarding immigration requirements different from the visa policy of the United Kingdom, but remain under its sovereignty. As a general rule, British citizen passport holders do not generally have automatic right of abode in these territories. This is a list of 75 countries and territories with left-hand traffic. Left-hand traffic (LHT) is the practice, in bidirectional traffic, of keeping to the left side of the road. The UK Overseas Territories Conservation Forum (UKOTCF), also known as Overseas Territories Conservation, is a UK-based non-governmental organisation which promotes coordinated conservation in the UK Overseas Territories and Crown Dependencies. It is a not-for-profit organisation supported by grants, donations and subscriptions, and a registered charity and company.